Hello Friends! Sorry for the posting absence for a couple of days. We are visiting family and having tons of fun. We came out for a golf memorial for my late grandfather, so I thought it would be only too fitting to reshare this tutorial with you. 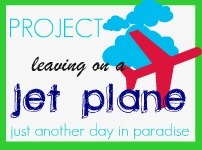 I have one more Project Leaving on a Jet Plane post for you. I will share it right before we go home. Fingers crossed this plane trip is less eventful and agonizing...will share my tale after I am home. 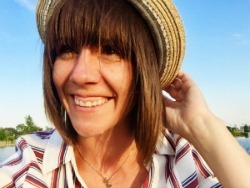 BUT, today I am sharing a no-sew-done-in-a-day super cute tee. Golf Tee to be exact...hahaha, pun intended. My inspiration came from this golf club tee made from the AH-mazing Little Man clothing company Axel and Hudson. I knew I just had to make one for my Littlest Little Man. I found this pair of perfectly golfer plaid shorts at the BEST store on the planet. From this pair of shorts I picked the colors of my tee. Here is a secret I have for you...you can use the fabulously cheaper acrylic paint found in your craft store instead of the pricier fabric paint. It covers just as well and washes just as well without fading. It is initially a little stiffer, but that goes away with washing. Your color possibilities are much more varied with acrylic paint. First you will need to make your stencil. This is the most time consuming part. It consists of either tracing your image on freezer paper like used HERE Or you can cut out your stencils with a silhouette using vinyl as the stencil. The amount of clubs on your shirt will depend on how big the tee is and how big you make your club stencil. I cut out 3 full sized club stencils and 3 partial. I laid them out accordingly. You should have at least 4 club heads, this is where you will spell out FORE with letters out of which ever material you are using for your stencil. Whew, the stencil is on. Trust me that is the hardest part. Downhill from here on out. Before painting place a piece of cardboard on the inside of the shirt. This will prevent bleeding through. You will use one paint color for all but one of the clubs. I choose this navyisy blue. Paint all but one club. When painting, make sure to use a light hand. As you go, make sure that your stencil is not coming up. Repeat coats for darker coverage. I used about three coats. I used white as my single club color. Apply that paint. If you are using white, it will take 1-2 more coats. After drying for a few hours (you can accelerate the drying process by using a hair dryer on cool), carefully remove all of your stencils, including the letters. 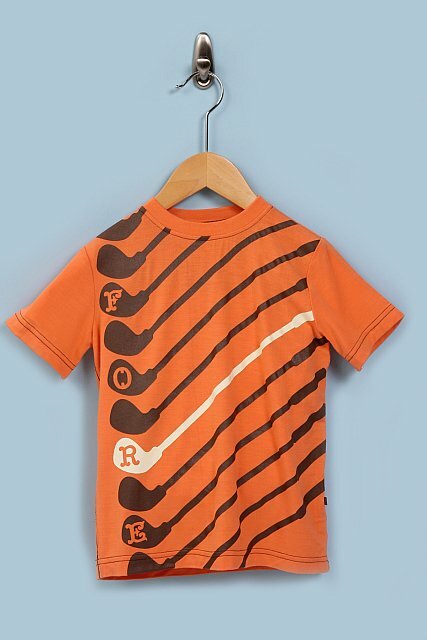 Now you just need to pair it with a golferiffic pair of shorts. 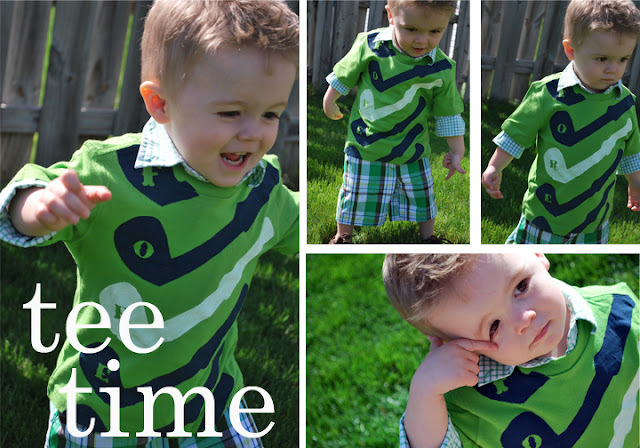 Dress up your miniature golfer. He will immediately want to hit the greens..
he will remember how great he looks and play through to the next hole happily. So cute. Ironically I forgot to pack this shirt for our golf event. Oh, well. Still super cute for everyday wear. Here is the skirt tutorial I did last week for Creation Corner. 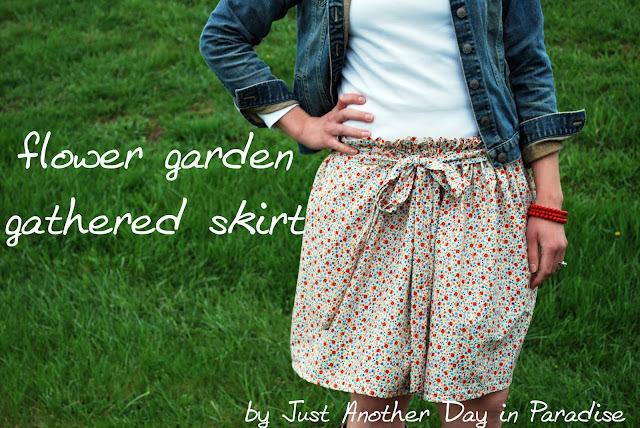 It is skirt wearing weather out here...yippee. I will show those off a little later. We were lucky to have our family of all boys joined by this family of all girls. I knew their Momma was a good friend when she dressed all her girls to coordinate with my Little Men. They were a gloriously cute array of gray and yellow. 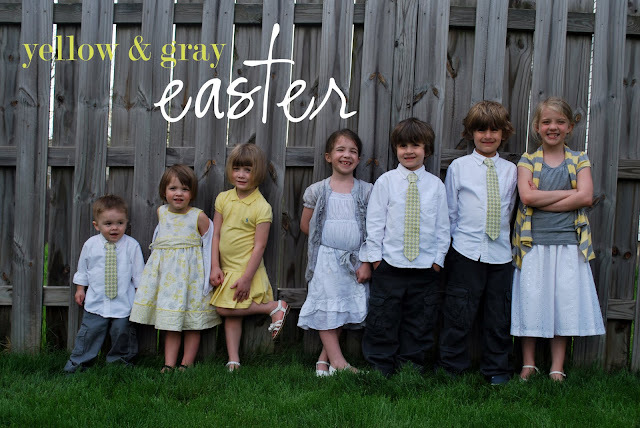 They were also pretty cooperative for our little photo shoot especially considering we had 3 hours of church and this is right at the end before we had even fed them. So yes, considering everything, this was a pretty successful photo shoot. The best picture I could get of my Little Men, still pretty cute. I hope you all had a lovely holiday full of family and friends. Now how about that winner? You know the one who wins the $50 gift card to Tea Collection Clothing. Congrats! Leave me a comment or email me by Friday, April 29th. I will pick another winner if I haven't heard from you by then.